Swedish researchers have discovered a new and efficient way to use electrocatalysis to produce hydrogen gas from water. 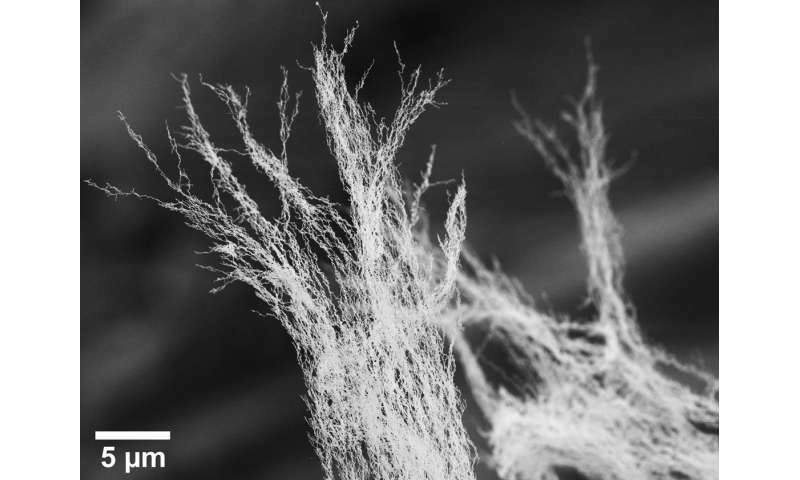 Instead of using expensive and difficult-to-obtain platinum electrodes, the new method uses electrodes with nanotruss structures of iron oxide. The research is led by Professor Ulf Helmersson. The Plasma and Coatings Physics research group at Linköping University manufactures thin films of nanomaterials. 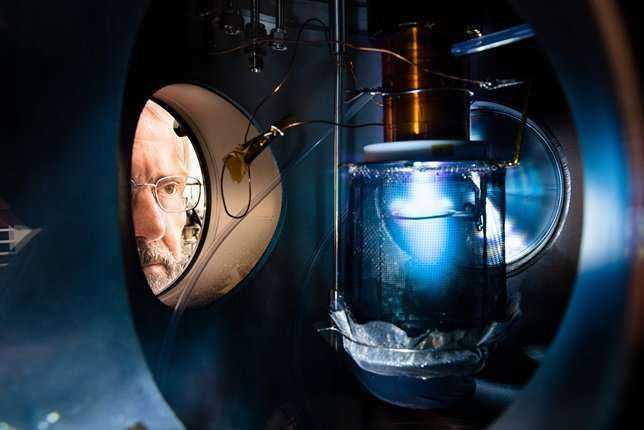 To do this, the researchers use a technique known as "pulsed plasma sputtering." The basic process, sputtering, is a commonly used coating method used in industry and research. Atoms are sputtered onto a substrate in a chamber to form a thin layer of constant thickness, with the aid of ionised gas. The LiU researchers have further developed the technique and use short but highly efficient pulses of a plasma in order to cause nanoparticles of the sputtered atoms to grow. The nanoparticles grow as they float in the gas. However, in one of the experiments run by Sebastian Ekeroth, doctoral student in plasma and coatings physics, the material turned out to have formed in completely the wrong place. "It looked as if debris was lying around in the chamber. I examined some of it in a microscope and saw a tangled bundle of nanowires," he remembers. 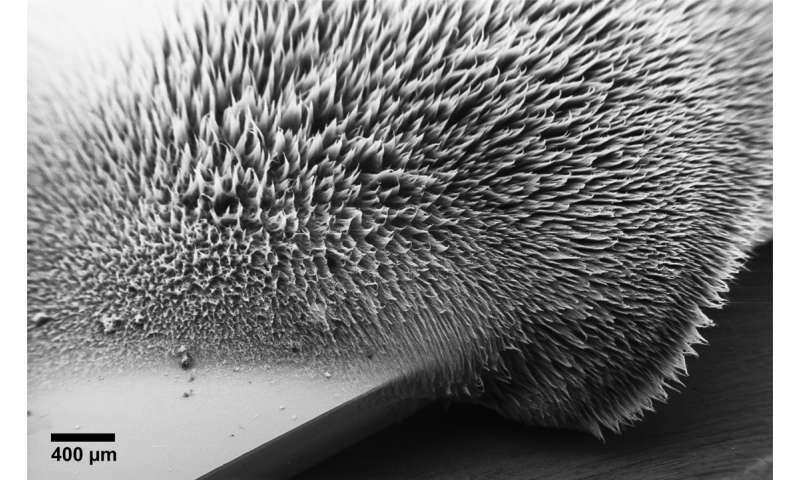 Professor Ulf Helmersson realised the significance of the findings, and a new research field based on ferromagnetic nanostructures was founded. Researchers around the world are becoming evermore interested in ferromagnetic nanoparticles and how they can be produced, in particular in various types of solution. These magnetic materials are becoming increasingly interesting for energy storage (with a special interest in the storage of energy from renewable sources), catalysis, and the synthesis of chemicals. The group at LiU, in collaboration with researchers at Umeå University, has developed a method to control the production of ferromagnetic nanostructures with the aid of pulsed plasma sputtering. The result has been published in the prestigious journal Nanoletters. In this case, Sebastian Ekeroth has used ionised argon introduced into a chamber with an iron cathode and a stainless steel anode. Iron atoms are sputtered from the cathode and form nanoparticles with a diameter of around 20 nm. An applied magnetic field causes the iron particles, which are intrinsically magnetic, to come together and form a stable and well-defined trussed structure, both on paper and metallic surfaces. The complete structure, with all its angles and nodes, is also covered by a layer of iron oxide of thickness 2 nm, when the structure is exposed to air. "The way in which the iron particles hook into each other gives a very stable structure. The environment in an electrolyte can be very rough-and-tumble. If the conductivity is to be preserved until the end of the process, it's important that the structure doesn't break up," says Sebastian Ekeroth. The method can also be used for large areas. "The method is suitable for applications in which a three-dimensional material is needed across large areas," says Ulf Helmersson. The researchers describe in the article in Nanoletters how they have successfully used a cathode with iron oxide nanostructures on the surface of a conducting layer of carbon paper to break down water into hydrogen and oxygen. This electrode has many advantages over expensive electrodes made from the difficult-to-obtain platinum. The new electrode is lightweight, can be bent, has a high capacity, and is composed solely of environmentally friendly and easily sourced substances, namely iron, oxygen and carbon. The hydrogen gas has a high energy content. When the chemical energy in the hydrogen is converted to electrical energy in a fuel cell, the only waste product formed is water. Interest in fuel cells is increasing steadily, principally for environmental reasons. However, 96% of the hydrogen currently produced comes from non-renewable sources. The hunt is on for more environmentally sensitive methods of producing hydrogen. The latter is also a potential energy-carrier, and thus a possible medium for storing energy obtained from, for example, solar sources or wind power. at other areas, such as electrodes in batteries, in supercapacitors, and for use in photocatalysis," says Ulf Helmersson.